Last week at Sundance, Lionsgate snatched up The Devil’s Double, Lee Tamahori’s fast-paced, mostly true thriller about Saddam Hussein’s son Uday and Latif Yahia, the decent man forced to be his body double. 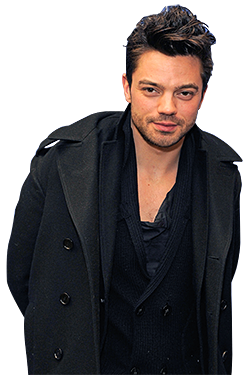 The movie is made by the riveting performance of Dominic Cooper (An Education, The History Boys) in both roles. Tamahori said he cast Cooper specifically because he didn’t want an A-list actor clouding audiences’ perceptions. But with this movie, along with upcoming appearances in Captain America and My Week With Marilyn, opposite Michelle Williams, Cooper will soon likely vault to a higher status. Vulture met up with him at Bing Bar on Main Street in Park City. Have you been sitting through the screenings of your movie? I sat through the premiere in that ridiculously huge theater [Eccles Theater, 1,200 seats]. It was terrifying, actually. I’ve never done a part of that size and I felt … I felt responsible, in a way. But it was very, very exciting. And there was an odd silence at the end. People did not know what on earth to make of these scenes that had played out before them. What do you think got them so befuddled? Well, there’s this kind of humor at the beginning watching this maniac, and then the more the film unravels, the full horror of his behavior becomes more apparent and shocking and revolting, and you’re kind of outraged and amazed that this possibly went on. And you look at this other guy who’s kind of thrown into this situation and there doesn’t seem to be any kind of answer or any way out, and you’re not sure what you should be doing. You just want to throttle Uday and kill him. And you don’t have any idea why he behaves the way he does. But it certainly moves at a rapid pace. I don’t think I breathed for an hour and a half until it was over. You got a standing ovation. In the morning screening! It was amazing. It was an 8:30 a.m. screening and I couldn’t believe people had woken up and seen that stuff. But they seemed to enjoy it. A standing ovation! It was a very funny reaction. You shot in Malta. Did you get anywhere close to Iraq? How accurate is the violence? I’d say the violence is toned down. That’s how bad it was, from what I’ve read. This film was never meant to have a political, moral background. It’s a gangster movie. They were a family of mafia. This is the story of a man where no one could stop him. Anything he ever wanted, he got. And that, in itself, is horrifying. Part of the difficulty for me in playing it is I couldn’t find any sympathies with him. You’re looking through this person’s eyes, and you want to kind of ultimately understand where this person’s actions stem from, and with this person, I was at a loss. How did you get into the part if you had no sympathy for him? Understanding what it must be like being the son of a dictator and trying so desperately hard to please your father, to show him that you are strong enough and good enough and capable enough to do what he does, and never reaching that height. The man [Saddam] was plastered across every street corner and he was admired and adored by his people, apparently. So Uday was living in an environment that stems from no reality. You can run amok. Why he was such a repulsive, repellent man and did such evil things to other human beings, who knows? I haven’t met anyone like that. So I don’t know how I did it. I kind of just had to find something to latch onto it and lose my mind and go crazy. You literally torture yourself in some scenes. Yeah, it’s weird. My mom’s not gonna like this one. I spent a fair amount of time with him. He’s an incredible person. He’s come from nothing to being a very successful businessman. But I didn’t want to get too influenced. This is not a biopic. I think it’s just too damaging and too dangerous to tread on that ground, when there are also people alive whose lives were so affected and damaged by this. Where did he end up when he fled? In Ireland, where he wound up penniless and his wonderful wife found him. He was in the street and she stepped over him every day or something ridiculously awful like that, and she said to him one day, “Can you cook?” And he said, “I can’t make a cup of tea,” and she took him on to work in the kitchen and they fell in love and got married. It’s a beautiful story. Did you ever figure out how he makes a living? I’m unsure what business he does. As with most businessmen, I find, when you try and talk to them about what exactly they do, you get the minimal response. It’s been around for a long, long time. And every time I went to my agency, I always reminded them of it. Because I didn’t read anything that affected me in the same way, and I loved it, and I thought, What an opportunity. I could do something with it. And then I heard that auditions were happening and got the opportunity. You’re in My Week With Marilyn. Are you playing Milton H. Green as an old guy? No, I’m my age. I don’t know if you mean that’s old. Not at all. We’re both 32. Yeah, I still can’t work out if that’s old. It was brilliant finding out what happens to their relationship, because they were so close. Does the film chronicle that relationship falling apart? No, it’s more about a guy who fell in love with her while he was a runner on the set of a film she was making in London. And what do we find out about Howard Stark, Iron Man’s dad, whom you play in Captain America? We learn the whole idea of where Stark Industries comes from, which is out of pure curiosity and creative juices and excitement towards thinking of the future and developing things for good. He’s a Howard Hughes. He’s a guy that loves inventing, that’s extremely intelligent, and that loves his lifestyle as well. Absolutely. You’re never quite sure where he’s been or where he’s just come from. And it’s always like he’s just come from somewhere in a tuxedo, from showing people his inventions and his new flying machines. He’s great fun. Is he a big part of the movie? He’s important because he’s part of the machinery that helps Captain America manipulate his body. Is he a father at this point? No, he’s still a young man with lots of ambition in an extremely exciting time. Do you get to do any badass stunts? Is that something you want to do? There are those things that you always think you want to do, and then the reality of them, you kind of go, “Actually, let’s not do that.” That’s my experience with stunts. I like driving stunts. Car sequences I can do. Jumping off buildings, I’m not so keen on it. I think it has to do with my experience of getting stuck up a tree for sixteen hours as a child. The object was jumping into the river, but the prospect of jumping off the branch, I couldn’t cope with it for a long, long time, and climbing down wasn’t an option, so I had to jump. Not my favorite memory.